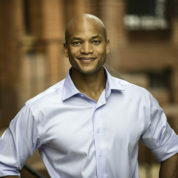 Wes graduated Phi Theta Kappa from Valley Forge Military College and in 1998 received his bachelor’s degree with honors from Johns Hopkins University. He completed an MLitt from Oxford University as a Rhodes Scholar in 2004. Upon graduation, Wes served as a paratrooper and Captain in the United States Army, serving in Afghanistan with the 82nd Airborne Division. "Moving from Baltimore to the Bronx or to a military school never changed my way of thinking. What did change me was when I found myself surrounded by people. Starting with my mom and my grandparents, but eventually leading to this amazing string of teachers who helped me understand that the world is bigger than what's directly in front of me. Those teachers and leaders helped me realize that there was never going to be a single accident of birth: not being Black, not being poor, not being from Baltimore, or not being fatherless that was ever going to define me. None of that was ever going to limit me. I have teachers to thank for that."